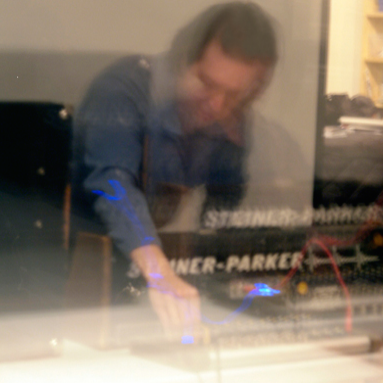 Working predominantly with electronic and digital media, Michael J. Schumacher creates sound environments that evolve over long time periods. His sound installations have been heard around the world and he has received a host of awards in digital sound and composition. He is the composer in residence for Liz Gerring Dance Company, a guitarist and pianist, and the founder of DRAW, Studio Five Beekman, and the Diapason Gallery. He currently teaches at Polytechnic University in Brooklyn.